Travelling with children can be hard work with so many things to remember and everything taking that bit longer but booking an overnight stay at Gatwick Airport before travelling couldn’t be easier. 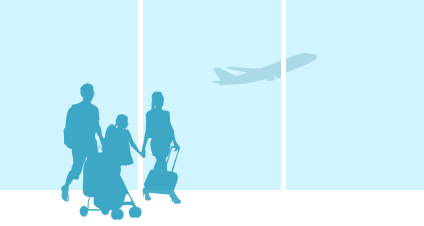 Most hotels at Gatwick have designated family rooms which will accommodate 2 adults and 2 children under the age of sixteen. Some will have a double bed and 2 single beds but often a double sofa bed will be made up for the children to share. Alternatively, some hotels offer interconnecting family rooms with a double and twin room linked by an internal door.